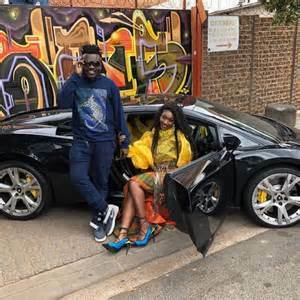 CEO of RuffTown Records, Ricky Nana Agyeman best known as Bullet has pounced back at critics of his artiste, Wendy Shay. Social media was awash with photos of the ‘Uber Driver’ hitmaker few days ago with critics calling her out to change her hairstyle. This according to them is because she has kept her weavon for three months. But her Manager, Bullet has asked Ghanaians to do away with their needless criticisms. According to Bullet, it is high time Ghanaians supported young talents and did away with unnecessary criticisms. In a post on Facebook, the artiste manager said Ghanaians with their demonic tongues killed Ebony Reigns and he will not sit for Ghanaians to do same to Wendy Shay. “Some Ghanaians hate to see young talented people progress.you guys did worst to ebony reigns when she was alive now is wendy shay.i dey beg una make you remove that your evil mouth from her,and those who dont get it, her hair style is her brand,” he wrote. He also added that the label was able to shoot a video worth 20,000 US Dollars for Wendy. Hence, if anything at all,buying a weavon for her wouldn’t be a problem. “if rufftown records can shoot 20,000 us dollar video for wendy shay then how much is weavon.Ghana support your own and stop the pull him down attitude!”.